When a brewer makes wort, the degree to which the carbohydrates in that wort can be broken down by the brewers yeast is called fermentability. A wort that contained a relatively large amount of unfermentable carbohydrates, compared to “normal” beers, would yield a richer beer with more mouthfeel. In contrast, a a wort that contained relative few unfermentable carbohydrates would yield a drier, crisper beer. If you are an extract brewer, there are a few ways you can alter the fermentability of your wort to suit the beer you are brewing or your personal tastes. If you had two worts — one made from pale malt, and the other made from malt extract that was made with that same pale malt (and the same mash conditions), the wort made from malt extract would be slightly darker and also less fermentable than the wort made from grains. Given that most homebrewers want to make full-bodied beers, the fermentability of malt extract is rarely a problem. However, advanced extract brewers may occasionally want to produce a wort that is less or more fermentable. Here’s how. To decrease fermentability, you would add ingredients to your recipe that yield unfermentable carbohydrates in the wort. Maltodextrin is one such ingredient. Maltodextrin is a carbohydrate that brewers yeast cannot ferment. It is a white powder (that is fairly hard to dissolve), which is flavorless to slightly sweet. All it does is increase your final gravity and add mouthfeel. Many old-school homebrew recipes called for maltodextrin, but fewer modern recipes do. You tend to see it most often in recipes for dark, malty beers. Adding up to 8.0 oz. (230 g) to a 5 gallon (19 L) beer will yield a more “chewy” beer, without overdoing it and ending up with an overly viscous concoction. Maltodextrin also reputedly helps with your foam. Adding lactose (a simple sugar that is unfermentable by brewers yeast) will have a similar effect except it will yield a somewhat sweeter beer. Lactose shows up in recipes for sweet stouts somewhat frequently, but I can’t think of another beer style I’ve seen it used in. The usual amount of lactose added is between half and full pound per 5 gallons (230-450 g per19 L). Another option for decreasing fermentability is to steep some light crystal malt or a Carapils-like “dextrine” malt. Crystal malts contain a high percentage of unfermentable carbohydrates and the lighter colored versions add only a slight caramel-like flavor and sweetness. They can occupy up to 10% of the grain bill in full-bodied beers and up to 15% in big, malty/sweet beers. Carapils, or other “dextrine” malts, add no flavor and can occupy up to 5% of the grain bill. Like maltodextrin, Cara-Pils type malts supposedly help with head retention. With a less fermentable wort, you’re really free to choose whatever yeast strain you want. Even if a strain is highly-attenuative in “regular” worts, it won’t be able to ferment the maltodextrin, lactose or many of the carbohydrates from the caramel or dextrine malts. So, if you’d like to produce a full-bodied beer — or a beer that goes beyond that and is somewhat thick and chewy — formulate your recipe with an eye towards adding unfermentable carbohydrates from the sources I’ve mentioned. Keep in mind your beer will finish at a higher final gravity (FG) and don’t overdo it with the less fermentable ingredients. There’s a difference between a wonderfully full-bodied beer and a sweet, sticky, viscous mess. 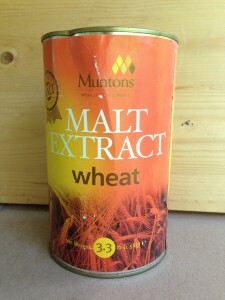 Tomorrow, I’ll describe how to raise the fermentability of an extract wort and produce a drier beer. Hello Chris, I expect that kits 1.5k and 1.8k will have the same percentage fermentability from most manufacturers for basic style beers like Bitter . I would like to know what this percentage is. Have you any idea? Also, I have read in more than one online site dealing with the SG of ordinary sucrose table sugar, that it is 1046 per lb per gallon. Yet i have the analysis chart of R.E..Essery Bsc, PHd,F.R.I.C. from the Journal of the Institute of Brewing., 1954, and his figures work out to 1038.5. I have not yet done a test for this,just wondering if others have,as it would save me the trouble. Cheers,Nick Davison. Hiya, Just found out that 1046 pppg for household sucrose is based on a Yankie gallon!! Whatch out for this guys, nobody mentions it! !